Per the FT, sales tumbled by 11%, according to broker Stribling & Associates, by 5%, according to Corcoran, and by 2.7% for co-ops and condominium apartments, according to Douglas Elliman and real estate appraisal firm Miller Samuel. While the average sales price for new developments climbed a staggering 89.4% to $7.6 million, that figure was exaggerated by a single purchase: Ken Griffin's purchase of a $240 million penthouse at 220 Central Park South, which, according to some, was the most expensive home ever sold in America. But depending on the report, the median sales price ranged from 2% lower to 3.2% higher. 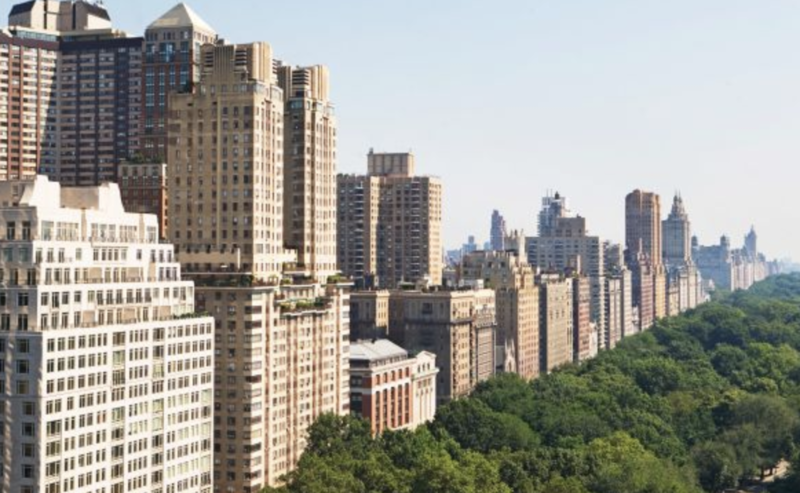 And although the entry level market in Manhattan - that is, apartments priced at $1 million and below - had held up for most of the past year, it has recently started to suffer. "It’s like a layer cake," Jonathan Miller, CEO of Miller Samuel, told CNBC. 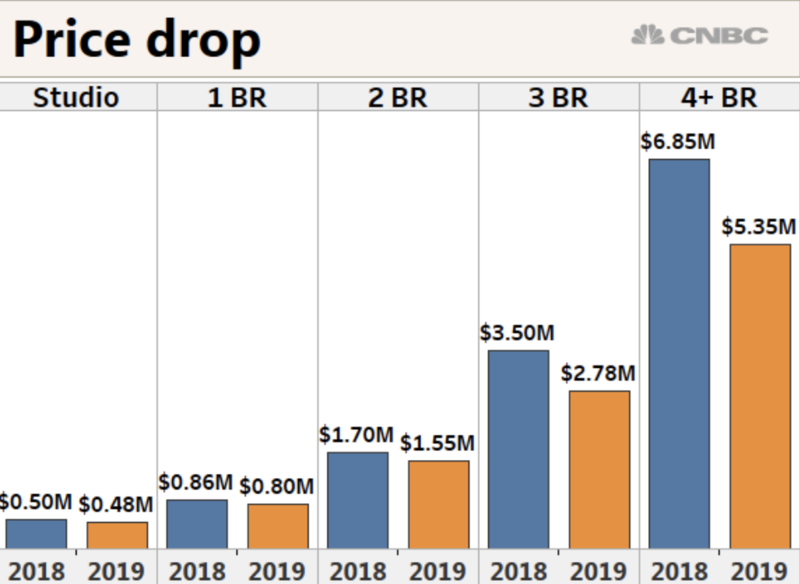 "When you have softening at the top, it starts to melt into the next layer and the next layer after that, because those buyers further down have to compete on price." According to one broker, sellers with unrealistic expectations are the biggest barrier to sales, because they're refusing to adjust for the fact that listings have been piling up and sitting on the market for longer periods, giving buyers more room to negotiate, and more options. Inventory has climbed 9% over the past nine months, and there's a glut in new developments that's only going to get worse. And of course, New York City isn't helping the market by passing an a one-time "mansion tax" on all apartments selling for $1 million or more - which is a large chunk of apartments sold in the borough. But it could have been worse: As one broker put it, the pied-e-terre tax that was briefly considered would have been a "market stopper." "The pied-à-terre tax would have been a market stopper, [the mansion tax] is a market dampener," said Ms Liebman. "I don’t think New York City is acting very friendly right now to the wealthy buyers," she said, adding that many are opting to buy in Florida and other states with lower taxes than New York. But although higher taxes are expected to drive more would-be buyers toward rentals, the number of new leases in Manhattan was also down 3% in Q1. Meanwhile, leases climbed a staggering 38% year-over-year in Brooklyn. As brokers in New York City and other high end markets like Greenwich, Conn. struggle with slowing sales, we imagine brokers in mid-tier markets are watching with a wary eye to see if the weakness spreads.